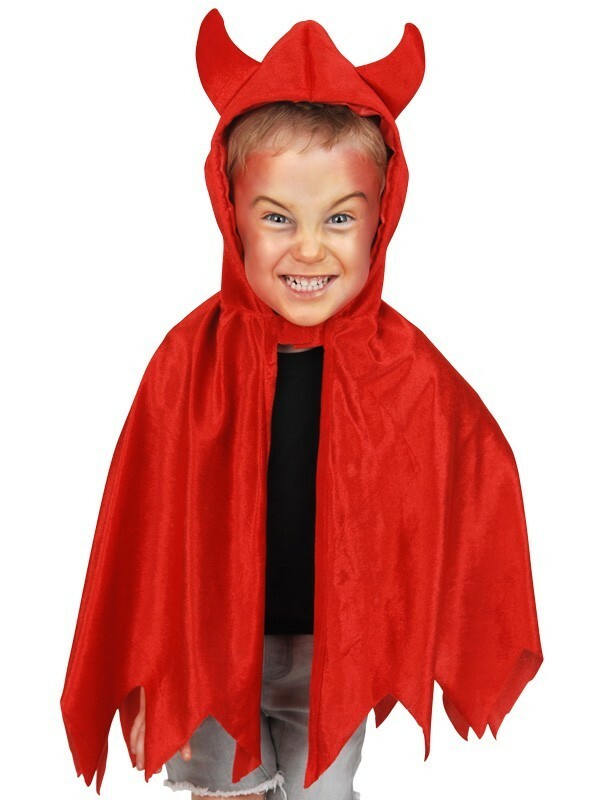 Red devil cape with hood child costume, This is suitable for a child aged between 3-6 years. The cape is 56 cm in length. Hand wash in cold water only.